Copyright & Revisions: Copyright © 1999. Reformatted in 2013. No changes made to text. Publication History: Originally published in the Proceedings of the 13th Annual International Conference on Outdoor Recreation and Education. Citation: Watters, R. (1999). Revisiting the common adventure concept: An annotated review of the literature, misconceptions and contemporary perspectives . In Harwell, R. & Emmons, K. (Eds.). Proceedings of the 13th International Conference on Outdoor Recreation and Education (pp. 82-94). Boulder, CO: The Association of Outdoor Recreation and Education. Reproduction Information: You are welcome to provide links to this page or to use short quotations and paraphrases in other documents as long as they appropriately reference the source. There is no charge for non-profit organizations to reproduce or publish extensive parts or all of this paper, but please obtain advanced permission from Ron Watters (wattron@isu.edu). Photo credits: The photo of Jim Rennie is courtesy of the University of Idaho Outdoor Program. Photo of Gary Grimm is by Harrison "H" Hilbert. 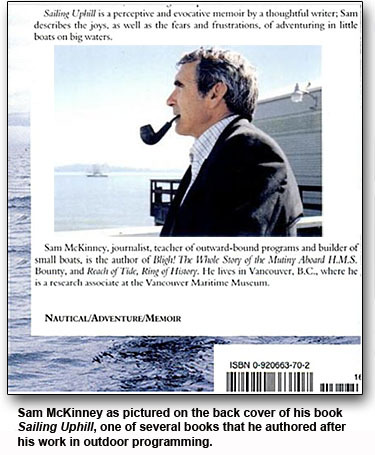 The back cover of Sam McKinney's book, Sailing Uphill, is reproduced which includes his photo. All other photos by Ron Watters. In the 1970s a new form of outdoor trip programming appeared with the suddenness and brilliance of a comet blazing in the night sky. It promised great rewards through a cooperative and shared approach to trips: rapid and efficient learning, group creativity, environmental sensitivity, low-cost, and most importantly from an institutional administrator's standpoint: low-liability. But it was—and remains to this day—controversial. One of the tenants of common adventure advocated by a few of the early passionate disciples was the concept of no designated leader. Some rumored that common adventure trips were leaderless. And that set the outdoor world buzzing. "Blasphemy!" the cry could be heard from some quarters. What has happened to the common adventure comet since its early days? Has our concept of it changed over the last quarter century? And, if it has, how has it changed? Is it still relevant or has it become an anachronism—a fascinating relic from the days of hippidom? Those are the sort of questions that came to mind while I began preparing for a presentation at the International Conference on Outdoor Recreation and Education held in Jackson Hole. I didn't think it would be a difficult project. After all, I had been participating in common adventure trips, discussing the concept at conferences and even writing about it since the 1970s, but I found the task a bit more difficult than I first had imagined. To understand it better, I did a review of past common adventure literature. As I searched the literature, new questions arose—which led to more questions. I found that the perspective of time and experience were in conflict with some of my long-held conceptions of common adventure. One simple paper prepared for the conference turned into two, fairly involved papers as I sought to better define the concept of common adventure. This is the first of two papers. It is this paper's purpose to look closely at what has been written. It is a journey back and then forward, looking at how the common adventure concept developed and has changed. Throughout it, I have added commentary, attempting to put it in a contemporary perspective. A second paper which follows, strips the concept down to its philosophical foundation, and from that foundation builds a theoretical model and explores how outside forces have influenced it. Often when asked what common adventure is, people will use an analogy of a couple of friends getting together and going on a trip. It might be two or three friends going climbing or hiking together. 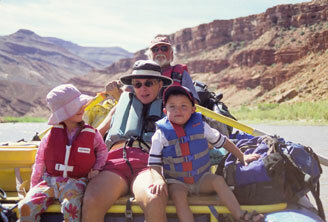 Or it might be a couple of families combining to go rafting together. Someone comes up with the idea, but there's really no designated leader. No one is charging money or acting as a "guide." It's just a fun trip among friends. But when it is applied to a club or particularly in an institutional setting, some extra support or assistance may be provided in one form or another. The college may provide sign-up sheets, a place to meet, resources in the form of maps, books, guides. Knowledgeable people are often available who are acquainted with how common adventure trips work and can help provide useful information. Obviously, there are differences between a gathering of friends and an institutionally supported trip which I'll discuss later in the paper, but both fall under the general category of common adventures. They are not guided trips. There is no designated "leader" or "guide" who makes all the decisions for the group. Rather, leadership is fluid and group decisions are made democratically. There are no guide fees. No group money goes to pay any one person among the group, nor does any money go to any outside individual or sponsoring institution or club. The cost of the trip (gas, food, rental of equipment) is shared. The basic premise of the Common Adventure is that legal adults, who are equal partners meet and cooperatively work together to develop and execute a common goal (trip) for which they assume complete and full responsibility. Participants cooperatively plan group needs such as food, equipment, clothing, transportation, safety and environmental concerns. Although one or two volunteer Adventure Trip Coordinators are on each trip, their responsibility is not that of a guide or leader. Once the outing is underway, participants assume responsibility for themselves and help each other by sharing their knowledge and experience. All decisions that are made are group decisions. There is no authoritarian leader, leaders emerge as different situations arise. All Outdoor Program trips are open to all those that have the necessary time, skills, and money. Pre-formed or closed trips are not allowed, as one of the primary goals of the O.P. is to encourage the sharing of skills and ideas and to provide a place where everyone is welcome. Equal sharing of all aspects of an adventure is another important part of the program's philosophy. The trip initiator pays the same amount as others, and all responsibilities, chores, and decisions are equally distributed among trip participants. The feeling on trips is one of cooperation and support rather than competition. Any discussion of common adventure must start with Gary Grimm. 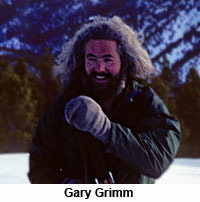 Grimm was the University of Oregon's first Outdoor Program Coordinator and is probably the most influential force in the concept's development and spread. Although the term was not used, one can detect the early roots of common adventure in a 1970 paper entitled "Union Outward Bound: An Educational Experiment." Grimm spends a good portion of the paper discussing learning and drawing upon the ideas of the educational theorist B.F. Skinner, and he promotes the idea that "learner-controlled instruction" can enable participants to progress faster than "instructor-controlled" training. He would later say that common adventure trips are wonderful learning vehicles because participants are in the driver's seat, controlling their own pace of learning—not a designated leader or teacher. Some other quotes from his paper (Grimm, 1970) include: "People who wish to try new skills on their own or with a small group with similar interests are encouraged to do so [at the University of Oregon Outdoor Program]." Participants "should be able to plan outdoor excursions which are consistent with his or her own objectives." "Outdoor sessions are arranged so that each person has the opportunity to make independent decisions." The establishment of key principles of common adventures have begun: self-directed learning, formation of groups of people with similar interests to achieve objectives or goals, and the establishment of an environment in which participants have the opportunity to make independent decisions. In 1972, one of the most important, and perhaps far reaching, papers on common adventure appeared. It was written for, but not by, Grimm. Entitled "A Memorandum Regarding the Tort Liability of Self-Directing University Outdoor Wilderness Programs," the paper was researched and authored by Richard A. Wyman, a law school student at the University of Oregon. The paper came at a time when Grimm had been the coordinator of the university's outdoor program for four years. He had been running trips as common adventures, although they weren't called that at the time. Program coordinators at a few other universities were running trips in a similar fashion, but Grimm had been in the business the longest. The numbers of students involved in trips were rising steadily, and administrators were beginning to ask questions. Paramount among them was what is the university's liability? Grimm asked Wyman who had been an active participant in Oregon's Outdoor Program to research the problem. Were trips, given the manner in which they were done, any more liable? The resulting paper is still remarkable for its thoroughness, and while much has changed in the legal and outdoor fields, it remains a pioneering work. Wyman looked at the University of Oregon's outdoor program from a variety of angles and found court cases and legal precedent to support its new way of programming. He did, however, suggest modifications and other ways to minimize liability—and cautioned other areas in which the program could be liable. It is in Wyman's paper that the term common adventure first appeared in outdoor education literature. The paragraph in which common adventure is mentioned begins by Wyman suggesting that the outdoor program might be able to defend itself by claiming that it exists as a "joint enterprise." It was only a theoretical defense as applied to outdoor programming, but in the following years, the doctrine of joint enterprise would become accepted almost as a fact. "As a rule," Wyman wrote, "members of an unincorporated association are engaged in a joint enterprise so that the negligence of one member is imputable to each other member. Individual members cannot recover from the association because the law regards all members of the joint enterprise to be equally responsible for the negligence of one of the members." To this day, joint enterprise remains a fascinating concept in connection with outdoor activities. If successfully applied in court, it means that an outdoor program or club could argue that individuals of a group going on a trip and working toward common goals were in a legal sense a joint enterprise. Members of a joint enterprise are unable to recover damages from one another. Wyman continued in the same paragraph to cite Murphy v. Hutzel. For all the luster later attached to one short sentence, it's a rather dull, long-ago case concerning a crabbing party. From the judge's comments in the case comes a term which is now a part of the outdoor education vernacular—and it demands a closer look. The case involved an incident that occurred in August of 1935. The owner of a boat, Walter W. Hutzel, and his wife had invited Jerome L. Murphy to join them and several other friends for a day of crabbing and swimming. The water in which the crabbing was done was shallow and the boat became grounded. There was nothing unusual about the grounding. The party went about their crabbing and swimming, waiting for the boat to be freed in the high tide. The boat, however, listed to one side in the water. After the tide went back up, Hutzel started the boat's motor. When he turned the switch, an explosion occurred. Apparently when the boat had been tipped to one side, gasoline had escaped and a spark from the motor had touched off the fumes. The guest, Jerome Murphy, who was helping take in the anchor was closest to the explosion and was severely burned on his chest and legs. All other members of the party escaped unharmed. Four years later, Murphy filed suit asking for damages. In his decision, the judge decided not to grant any damages to Murphy. Among his reasons, he said that the plaintive (Murphy) was essentially a part of the crew of the boat. He wrote that the host and guests were "common adventurers" and as such Murphy couldn't recover. Wyman reported the case in his paper and summarized the judge's decision: "In this case, the court termed the plaintiff a 'common adventurer' even though there was a host-guest relationship. The court stated that the grounds for holding that the plaintiff was a common adventurer would have been much stronger had the plaintiff contributed with others to hire a boat." The term struck a cord with Grimm, and sometime after he read Wyman's paper it would begin appearing in his own writings. Interestingly enough, for all his detail, Wyman misquoted the judge when he referred to the case in his paper. He also left out the primary reason for the judge's dismissal of the liable. The judge ruled that the plaintive was far too tardy in filing the case. "Equity aids the vigilant and not those who slumber their rights" is a maxim in the legal field to which the judge ascribed in this case. One of the theories that Grimm was operating under was that the outdoor program did not supply leaders to lead trips—or instructors to teach on trips. The hands-off approach might help lessen the university's liability. While Wyman (1972) felt that his research "in some degree" supported that contention, it was a mistake to fully rely on it. "If the court as a matter of law weighs the variables and decides that public policy requires the Program to meet a duty to its participants, then the program's failure in some incidencies to provide supervision or leadership constitutes legal negligence on its face and its case is over before it begins." The weakness which Wyman recognized, was later misunderstood by others as a strength. From a legal standpoint, institutions, out of self-interest, would want to consider providing trained personnel—either volunteers or paid staff—to participate and help facilitate, but not lead, common adventure trips. The group still takes ownership of the trip. The trip initiator remains a participant and is not a designated leader of the trip. All group members continue to participate in making decisions, but the trip initiator or facilitator is present to help members of the group understand the common adventure process and provide guidance when appropriate. It's a way of doing trips in an institutional setting, meeting the obligations of duty, but still staying true to the basic philosophy and values on which common adventure is based. But something else in Wyman's paper set some common adventure advocates off in the wrong direction. In the paper, Wyman discussed common carrier law, the law which generally applies to entities providing transportation services to the public. To avoid being a common carrier which might be applied to the program’s raft trips, Wyman had suggested some possible defenses. One of those defenses was that program personnel should not be paid by the university or "use their expertise for the benefit of the less experienced participants." This was simply referring to common carrier law, but some people took it to apply to all parts of an outdoor program, and two rules came from it: (1) program personnel can't be paid while on trips, and (2) program personnel while on trips can't share their knowledge with others. The second rule flew in the face of common adventure principles. The pervasive influence that legal liability had on common adventure is very apparent now that we are able to look back upon it. Some advocates of common adventure literally became dogmatic over the right and wrong ways of running trips. College programs which allowed staff to be compensated for trips were accused of cheating. The most dogmatic among the concept's early supporters even advocated that outdoor program staff members couldn't share their expertise and knowledge while participating on trips. Thus began two of most misunderstood concepts of common adventure. What is surprising about it is that it did not originate from common adventure philosophy, but rather from one or two weak theoretical defenses in a legal paper that most people hadn't even read. Although its original meaning was blurred, Grimm and others, quickly picked up on the term common adventure and used it to encapsulate the way in which trips were run at University of Oregon—and at other locations such as Idaho State University where Harrison H. Hilbert had taken over as program’s coordinator. The following year, the term common adventure appeared several times in a paper jointly authored by Grimm and Hilbert (1973). In the paper they mentioned that participants on outdoor program trips become "common adventurers." They also used the term to describe a distinct form of learning in the outdoors: "common adventurer learning." The concept followed from Grimm's earlier paper. They defined common adventure learning as students mastering outdoor skills "at a rate compatible with their own ambitions." Rejecting systematized, top-down instruction, they emphasized the best type of learning occurs when the individual is in control of his or her learning—not an instructor. They also discussed leadership: "Leaders do not have to make decisions for others, nor is there a need to set decision making procedures in outdoor program activities. Everyone expresses his opinion and decisions are made which satisfy all members of a group. Every participant is a common adventurer, one who has aligned himself with others of similar interests." Sometimes common adventure trips have been characterized as the lack of leadership. Although Grimm and Hilbert proposed a participatory form of leadership, they never advocated "leaderless" trips. It is not found in any of their papers. In fact, they recognized that leadership occurs: "By developing confidence in certain skills, a participant in the outdoor program may soon wish to ‘turn on’ others to his newly found joy in say, ski touring. Thus, a teacher and leader emerges." Leaders are very much present in common adventures. Grimm and Hilbert, however, were most definitely on a path away from the authoritarian leader, the one who makes all the decisions. They put a great emphasis on simplicity and common sense. They proposed that "all problems related to outdoor programs are simple, understandable and can be solved by the use of common sense." Their strong aversion to authority is quite plain: "The outdoor program tries to short-cut hurdles that complicate decision making. Therefore the certification of leaders who later act as authoritarians is always rejected. Similarly, any attempt to bureaucratize the program are rejected." 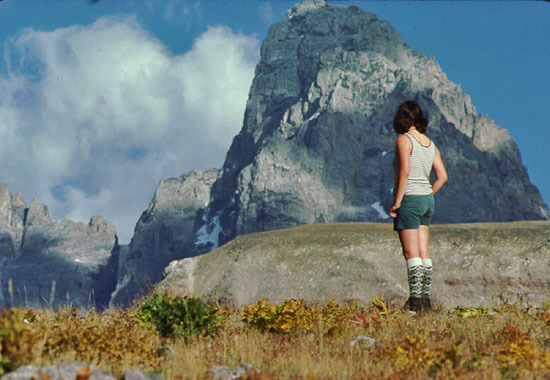 By 1975, the common adventure style of trip programming as it is now generally known, was described in detail in a paper by Bruce Mason for the Resource Guide for College Outdoor Programs published by the Association of College Unions, International. In it, Mason, Gary Grimm's assistant, was essentially describing how things were done at the University of Oregon. Interestingly enough, however, Mason never referred to the process as common adventure but rather gave it the much broader term "college outdoor program." The misconception which originated in Wyman's paper now became standard operating procedure. Mason (1975) states that "all [my emphasis] trip originators and instructors are volunteers." That meant that Mason was adhering to the legal interpretation of common adventure that outdoor program employees could not be paid for trips. Remember this was one suggestion that Wyman had made in relation to common carrier law, but it had grown so much in significance that it was applied to all trips. If the procedure was, indeed, an important part of common adventure programming, it meant that outdoor programs would have to take careful steps to make sure they weren't providing any kind of compensation for any of their employees. The outdoor program director, if full time, would need to keep careful records (time sheets and vacation documentation) showing that he wasn't being paid while on trips. In the event of a law suit, detailed documentation would be needed as evidence in the case. That procedure was used at Idaho State University, though it was never rigidly followed. Yet, when a law suit resulted from a common adventure trip in the early 1980s, the university's attorneys did produce documentation (time sheets) showing that Hilbert was not being paid during the trip. However, the court did not accept it as a valid defense. Since Hilbert was a knowledgeable mountaineer and he worked in the outdoor field, taking trips on his off-time was a natural extension of his job. The result of the Idaho State University case was to cast considerable doubt on an already weak legal defense. It also verified Wyman's original contention that at least in an institutional setting, providing some supervision and guidance would be desirable to minimize the sponsoring institution's exposure. Moreover, providing compensation for an individual on a trip (as long as it was subsidized by the university and not group members) has never gone contrary to the original principles of common adventure. In 1977, in a ground breaking article, Gregg Blaesing from Northwestern University, attempted to distinguish between different outdoor programming styles. To do so, he placed them on a continuum based on whether activities were participant oriented or originated by the organization. Instead of using the term common adventure to describe participant-oriented programs, he used the term cooperative wilderness adventures. The terms common adventures, cooperative adventures, and cooperative wilderness adventures have been intermixed over the years. Recently there has been some attempt to give specific meanings to common adventure and cooperative adventure. Additional comparisons of different models were made in 1981 by Wm. Miller Templeton from Georgia Institute of Technology (cited in Webb, 1991). Templeton used a table format of which many outdoor educators have since become aware through its use in Dave Webb's well known Outdoor Recreation Program Directory. Templeton suggested a new term: structure/safety training (SST). It is important to digress for a moment to discuss the term since Webb's directories are in wide use in the outdoor education community. Other authors, myself included, have used the term "packaged trips" instead of SST to define a specific type of programming model: trips are planned in advance, a designated leader makes most of the decisions, and a fee is charged which goes to the institution. Unfortunately, the SST designation is misleading since all sorts of different programs are choosing it for their program type. Some outdoor programs which claim to offer SST trips are simply serving as travel agents and contracting a commercial guide to do the trips. Some entities listed as SST programs in the Directory conduct mostly guided trips with their own staff. Others listed as SST programs, may charge a fee for the trip, but it is strictly done on a non-profit basis to recover the program's expenses. 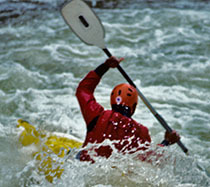 And still others use common adventure techniques, but because of one reason or another, they choose the SST designation as their program’s type. The term is also misleading since it appears to be the only model in which safety or training are important. When given a choice and asked how to define their program, many outdoor educators simply say structure/safety/training. It sounds safe and would certainly please administrators. But does it mean that guided operations are any less concerned about training and safety? The answer, of course, is no. Many guided operations have far more extensive training programs than college outdoor programs. Does it mean that common adventure programs are any less concerned about safety and don't provide training? Again, the answer is no. Obviously, all outdoor educators, no matter what their programming approach, are concerned about safety, and all outdoor educators are interested in training and improving skills. Because of the ambiguity in the application of the SST designation, I believe that the outdoor education field would be better served by the adoption of a new term. For some, the old terminology "packaged trip" which has been used by previous writers has a negative connotation. Instead, the new term should have enough common ground to make it agreeable to most educators. I would suggest the term “structured programming.” It is derived from structure/safety/training, but it is much easier to say and doesn't have to be abbreviated. Obviously, structured programming needs to be more clearly defined. A complete definition is beyond the scope of this paper, but implicit in the simpler name is less ambiguity and better understanding by all involved. In 1981, a second extensive examination of legal liability was undertaken. Written by Matthew Soule, the paper was prepared at the request of Bruce Mason who had since replaced Gary Grimm as the Coordinator of University of Oregon's Outdoor Program. 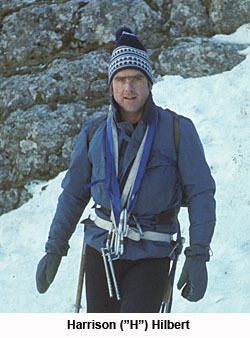 Soule (1981) began the paper by saying the University of Oregon Outdoor Program utilized the "common adventurer" approach to outdoor recreation programming. While he covered a variety of legal defenses, he believed that one of the best legal protections that the outdoor program had was the doctrine of "joint enterprise," first suggested by Wyman (1972). Soule, however, went further into the matter. He discussed Ruth v. Hutchinson Gas Co. It is a case in which several men on a deer hunting trip in Minnesota died of carbon monoxide poisoning in a camper when someone had closed the heater vent. All the men had contributed to a kitty which was used to pay for travel expenses, food and incidentals. The jury found that the campers were engaged in a joint enterprise. On appeal, the Minnesota Supreme Court agreed, saying each party "had an equal voice in the running of the trip. There is a joint enterprise where all the parties have a community of interest in the purposes and objects of the undertaking and an equal right in its control and management." Since it was a joint enterprise, the negligence of one was attributed to all. If one negligently closed the vent, then all were negligible. The conditions which established a joint enterprise, Soule wrote, were not clear cut, but he cited a case by the Washington Supreme court (Charboneau v. Peterson as cited by Soule, 1981) as providing a guideline: "Briefly stated, a joint adventure [or joint enterprise] arises out of, and must have its origin in, a contract, express or implied, in which the parties thereto agree to enter into an undertaking in the performance of which they have a community of interest, and further, a contract in which each of the parties has an equal right of control over the agencies used in the performance. Thus we note (1) a contract (2) common purpose (3) a community of interest, (4) equal right of voice, accompanied by equal right of control." Soule noted that a written contract would be helpful, but not necessary since an implied contract would suffice. As a result of both Wyman and Soule's papers, Idaho State University revised its common adventure sign-up sheet to include a statement about joint enterprise. Other universities soon followed. It is interesting that Soule also cited Murphy v. Hutzel, but apparently relied on Wyman's paper instead of going to the source since he misquoted the judges decision in the exact manner of Wyman. In the early 1980s, I began to study common adventure from an historical context and presented a paper at the 1984 Conference on Outdoor Recreation (Watters, 1985). I found in my research that Grimm had been influenced by Samuel McKinney. In the late 1960s McKinney had been running outdoor trips at Portland State. On one of those trips McKinney and a group of students crammed into a pickup truck and drove across Oregon and Idaho to Wyoming where they spent several delightful days in the Tetons. McKinney, in the early spring of 1967 came to Eugene, Oregon at the University of Oregon and put on a slide show about the trip. His philosophy came across as simply dispensing with rigmarole and just getting out there and doing things. McKinney explained that he had only two rules: the first was that there were no rules and the second was that women couldn't wear curlers on trips. Among those in the audience were Grimm and John Miles. Miles would later play a major role in the development of the Huxley Environmental School at Western Washington State. Together the two men came up with the basic principles of what later would be common adventure and of which Grimm would write and passionately advocate. The time was ripe for common adventure. The average age of Americans was younger that it had ever been, and enrollment in colleges had surged from only 15% college-age enrolled in the 1940s to 40% or over 5 million in the mid sixties. They also had more spending money than ever before—and then there was the war in Vietnam. Though students participating in the frequent campus demonstrations were, according to polls, in a minority, their effect was that a majority of students were caught up in a current of greater social consciousness. Students were looking at new ways of doing things, new ways of learning, new philosophies. If it was part of the "old" establishment, it was questioned. Top-down authoritarian systems were particularly questioned. Moreover, nature offered a pure and unadulterated alternative to the problems created by man. It all fell into place. Into this environment, stepped McKinney, Grimm, Miles, and Hilbert who offered an approach to the outdoors which was different from the established form of outdoor recreation: it was not authoritarian and participants shared decision making. It attempted to simplify and dispense with bureaucracy. It was the opposite of commercialism. No one made money. People shared expenses. It is no wonder that it caught on, and the numbers of students participating in common adventure trips increased exponentially in the 1970s. 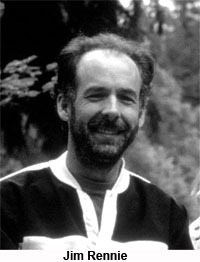 Another key paper on common adventure presented at the 1984 Conference on Outdoor Recreation was entitled "The Uncommon Adventure" It was written by Jim Rennie (1985), the director of the University of Idaho Outdoor Program. Rennie argued that in institutional settings common adventure trips are subsidized in lesser or greater degrees. In particular, he zeroed in on the issue of paid staff on common adventure trips. He had been an early participant in the University of Oregon's common adventure program and ascribed to the legal interpretation that trip initiators should not be paid. 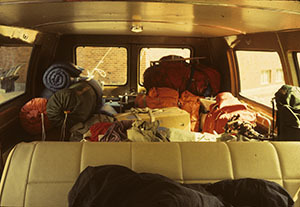 In laying out the ground rules for a common adventure trip, he stated that "initiators are not getting paid or receiving benefits for organizing the trip." Rennie wrote that program coordinators or staff may "artificially stimulate the common adventure process in order to increase trip offerings. This may be done through a number of incentives offered to trip initiators." Incentives may consist of office jobs with "the implied understanding that office employees will initiate trips on their own time." Or it may consist of providing equipment to those who initiate trips or simply paying people. According to Rennie, some programs were simply paying people "under the table." Because of the convoluted efforts some programs were making to get around the compensation issue, Rennie felt that two separate forms of outdoor programming should be identified. The first he called by its original name "common adventure," in which no compensation or incentive is provided whatsoever. The second he called "cooperative adventure" where trip initiators could be paid or provided with incentives. He reminded readers that liability would probably be higher if they adopted the cooperative adventure approach. Rennie's paper focussed on a part of common adventure which is still not fully understood today, and it needs to be more closely examined. For the sake of argument, let's say that a pure common adventure trip is one in which the institution provides no subsidy whatsoever: no compensation to the trip initiator, no trip initiator incentives, no equipment or van for common adventure trips, and no paid staff to help people understand the concept. If we eliminate all those things, then common adventure would largely not exist in an institutional setting. That certainly wasn't the intention of the original advocates of common adventure. Common adventure came about and flourished in an environment of institutional support. Yet, the concept had mutated so much through legal interpretation (which was shaky to begin with) that it had almost become impractical to offer in an institutional setting. I cover this aspect of common adventure and the ways in which outside forces have influenced it more extensively in a second paper (Watters, 1999). Steve Guthrie (1997) of Unity College points out Rennie's paper is significant in that it was the first time in which basic differences were identified in how a common adventure model could be applied. However, since the terms common adventure and cooperative adventure traditionally have the same meaning, I suggest using a slightly different and more descriptive terminology. For trips which receive no support, I suggest the terms "unsupported" or "unassisted" common adventures. For those which receive some type of support, I suggest the terms "supported" or "assisted" common adventure—or simply "common adventure." Since most institutional programs which have been providing assisted trips, have always called them common adventure, it makes sense to keep the terminology the same. Changing the terminology would only tend to throw things into confusion. It is possible to foster—or make available—unassisted common adventure trips in an institutional setting. For example, the University of California-San Francisco at one time offered assisted common adventure trips. Quite some time ago they moved into offering structured trips. Fees are charged and a trained leader takes out the trips. It is a very successful program and provides outdoor recreational activities for thousands of students and community members in the San Francisco area (Watters, 1999, October). But the program's staff still believes in the importance of the availability of common adventure trips. They provide a community bulletin board on their web site. It's really the same idea as a trip board, but instead of having a paper sign-up sheet, it links interested individuals to clubs or other individuals who are initiating trips. UCSF is able to promote and foster common adventure. Along with a disclaimer and along-arm approach, they are nearly immune to law suits. At Idaho State University, both unassisted and assisted trips are fostered. The assisted common adventure trip program is extensive and involves using volunteers and paid staff. A natural progression often occurs: almost all outdoor program trips are of the beginning and intermediate level and once people become proficient, some individuals naturally go off on their own, organizing their own advanced trips among friends. They now have the skills to do so. The resources of the outdoor program (books, maps, etc.) are available to them, but they don't go through the formalities of putting up sign-up sheets. Sometimes, they'll just put a note on the bulletin board and find a couple of others that want to join them. The outdoor program is not otherwise involved in the trip—or sanctioning it. All of these spin-off ventures are essentially unassisted trips. The individuals involved have learned how common adventure trips work through the outdoor program, and they use the same techniques in running their own trip. The outdoor program has served a very useful and beneficial purpose, enabling such trips to happen. Yet, it remains so distanced from such trips that its liability is nil. In the mid 1980s, I expanded on Blaesing’s original work on comparing outdoor programming systems. In an article entitled, "A Model Theory of Outdoor Program Approaches," I argued that Blaesing's delivery systems could be more completely described through model theory. I used Blaesing’s original concept of a continuum, and suggested that where models were placed on the continuum was determined by the amount of organizational control inherit in each model. Common adventure programs lie on the left side of the continuum since they have the least amount of organizational control. Guided and packaged trips would appear on the right side. Each model actually represented a range of possibilities. In other words, there is flexibility in how each model is applied. At some point, as one moves up the scale of organizational control, the boundary is crossed, and the next model takes over. Because of this flexibility in the application of models, I suggested that the different programming styles which Jim Rennie (1985) had identified were actually different applications of the common adventure model, not a separate model. At the time, I didn't use the terms "application," "unassisted" or "assisted common adventure," but their use helps in understanding the overall concept from a more contemporary perspective. Thus, unassisted common adventure would fall to the very far left of the continuum and assisted common adventure would fall just to its right. Both, however, occupy the territory reserved for common adventure. In a perceptive, unpublished paper prepared in the mid 1990s, Steve Guthrie (1997) expanded upon the model idea and suggested further changes. He agreed that differences exist in the common adventure concept and used Rennie's terminology (common adventure and cooperative adventure) to identify two separate models. Yet, I continue to believe that use of the two terms is confusing. In the past, they have meant the same thing and they sound similar. For many outdoor educators, “unassisted” and “assisted” would more clearly define the programming style. I also continue to believe that unassisted and assisted are really two applications of the common adventure model, not a separate model. To try to shed more light on this, I have carefully reconstructed the model in another paper. Using its underlying value system as philosophic foundation, the two applications seem to flow naturally from it. The most important discovery by Guthrie was a defect that he found in both Blaesing's and my work. He argued, convincingly, that the club model is not really a model at all. Clubs can use one or more approaches in how they offer trips: common adventure, instructional/school, or guided. Guthrie eliminated club as a model, and I fully agree. Guthrie also argued that there is also a clear division within the instruction/school model. He believed that it actually should appear as two distinct models: (1) adventure education which facilitates interpersonal growth, self esteem, etc, and (2) instructional/school which emphasizes the teaching of technical skills with no emphasis on interpersonal growth issues. I agree with Guthrie, and it’s very likely that future work in the area will bear him out. The author would like to thank Dan Geiger of University of Oregon, Steve Leonoudakis, of University of California-San Francisco, and Jim Rogers of Illinois State University who were kind enough to share information, and their perceptions and experiences with the common adventure concept of programming. Blaesing, G. (1977, August/September). A continuum of outdoor program delivery systems. Student Activity Programming, 46-49. Grimm, G. 0. (1970). Union outward bound: An educational experiment. Eugene: University of Oregon. Grimm G. O., Hilbert H. H. (1973) An operational definition and description of college outdoor programs. Pocatello: Idaho State University Outdoor Program. Guthrie, S. P. (1997). Outdoor program models: Placing cooperative adventure and adventure education models on the continuum. Unpublished manuscript. Unity College, Maine. Mason, B. V. (1975) College outdoor programs: An alternative to traditional outdoor recreation. Eugene: University of Oregon Outdoor Program. Murphy v. Hutzel 27 Fed. Supp. 473 (1939). Rennie. J. (1985) Uncommon adventure. In Miles, J. C., Watters. R., Proceedings of the 1984 conference on outdoor recreation: A landmark conference in the outdoor recreation field (pp. 81-85). Pocatello, Idaho: Idaho State University Press. Soule, M. (1981). Tort liability and the university of Oregon outdoor program. Eugene: University of Oregon Outdoor Program. Walsh v. Idaho State University, ASISU Outdoor Program. Memorandum in support of motion for summary judgement (1983). Watters, R. (1985). Historical perspectives of outdoor and wilderness recreation programming in the United States. In Miles, J. C., Watters. R., Proceedings of the 1984 conference on outdoor recreation: A landmark conference in the outdoor recreation field (pp. 103-114). Pocatello, Idaho: Idaho State University Press. Watters, R. (1987). A model theory of outdoor programming approaches. In Meier J. F., Morash, T. W., and Welton, G. E. (Eds), High-adventure outdoor pursuits: Organization and leadership (2nd ed.) (pp. 213-225). Columbus, OH: Publishing Horizons. Watters, R. (1999). The common adventure model of outdoor programming: philosophical foundations, definition and the effect of filtering. Unpublished manuscript. Idaho State University, Pocatello. Watters, R. (1999, October). [Unpublished interview with Steve Leonoudakis, Director of Outdoors Unlimited at University of California-San Francisco]. Webb, D. J. (1991) Outdoor Recreation Program Directory & Data/Resource Guide (p. 5). Boulder: Outdoor Network Communications. Wyman, R. A. (1972). A memorandum regarding the tort liability of self-directing university outdoor wilderness programs. Eugene: University of Oregon Outdoor Program.